The Arius YDP-184 is Yamaha's most advanced Arius digital piano and features the stunning sound of the flagship Yamaha CFX concert grand piano. You can customize the piano sound in the "Piano Room" by adjusting various parameters such as string resonance, damper resonance and touch response. Virtual Resonance Modeling (VRM) simulates the way an acoustic piano resonates—where the sound of one string causes sympathetic vibration in other strings and the soundboard--giving you a full, rich grand piano sound. Just arrived at JW Music! See this piano in action! We created a short video showing just some of the highlights of this amazing digital piano. Just click the image above to get started. VRM physical modeling: The distinctive reverberation generated by the entire body of a concert grand piano. 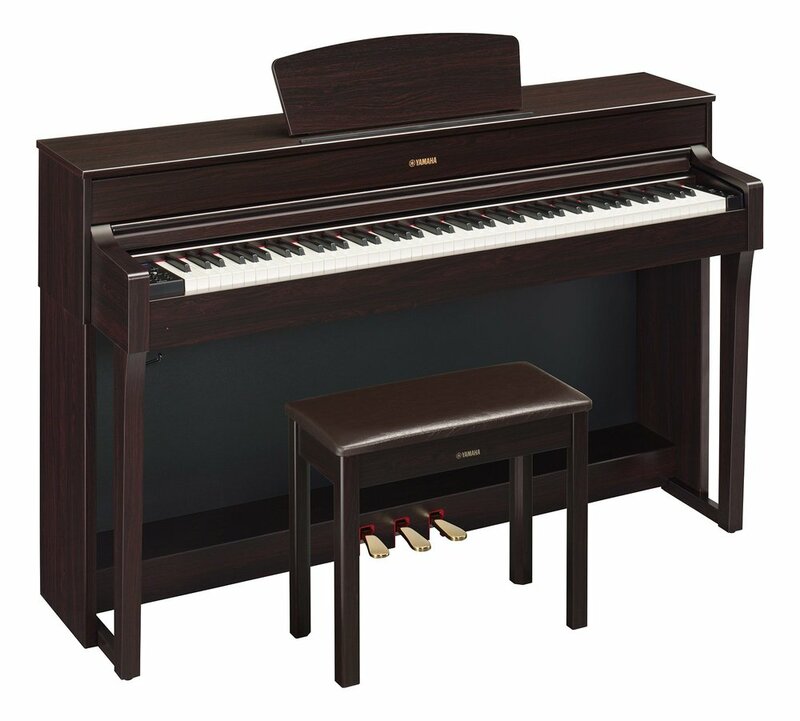 Superb playability and feel: Graded Hammer 3 (GH3) 88-key piano action with synthetic ebony and ivory keytops reproduces the touch of an acoustic piano, from the heavy feel in the lower register to a lighter touch in the upper octaves. Pedaling provides an added level of realism: Half-damper pedal control creates more detailed nuance and subtlety when playing, similar to pedaling on a grand piano. This feature allows for continuously increasing lengths of sustained notes, from slight to full, as the sustain pedal is depressed. Capture your performance: The MIDI recording function built into the instrument allows players to record up to 16 tracks for simultaneous playback in Standard MIDI file (SMF) format. Both hands can be recorded separately and played back together. Additionally, you can create your build your own compositions by overdubbing different voices. Connect and interact with your instrument: A standard USB cable can be used to connect the instrument to a computer or mobile device, opening up a world of creativity, entertainment, and education.